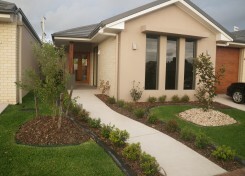 Landscape design for multi care retirement centres including community facilities and private units or houses. 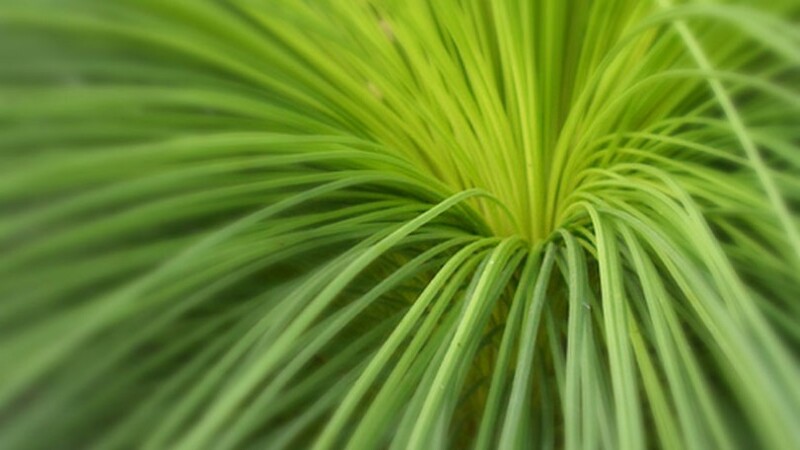 Common area landscaping to suit themed retirement villages and aged care facilities. Community facilities would include swimming pools, tennis courts, exercise equipment, walking paths, flower gardens, community vegetable gardens and outdoor activity pursuits. Noosaville Retirement Resort, Noosaville, Sunshine Coast, Queensland. 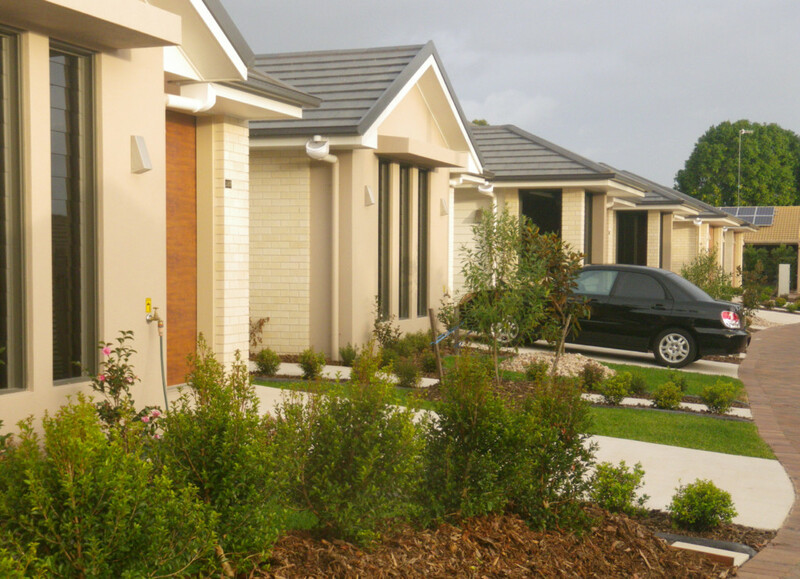 This group of six retirement residences is the final stage in an exclusive gated community in Noosaville. Flexibility of private planting for owners was provided, while allowing for the integration of existing residences with the new development. Element Design worked in conjunction with the design / construct company to achieve a successful and aesthetic outcome. 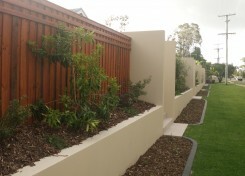 Presentation to the street was important, and the use of layered planting softened the requirement of retaining walls for level changes from street to residences.